The intention of this event will be mainly to help support the donation funded flying medical services around the world, by operating your special event station during at least some of the 9 days during which this event takes place. The nine days to include two weekends, so everyone can get an opportunity to take part. The date has been set to coincide with the UK’s own fund raising week, simply because the UK has by far the most complete coverage of donation funded medical helicopter services in the world. An additional and equally important aim will be to help the UK’s Association of Air Ambulances, spread the concept of a public donation supported air ambulance service to the rest of the world. By putting on a station you will hopefully help raise awareness of the work these dedicated people do. They need all the support they can get. Towards this end, we would hope and expect that more than one station will support the same Air Ambulance, the more support each one gets, the better. So if you see your local service already listed as being supported by an amateur station, there is no reason why you cannot register your own station in support too. Please get the word out there so they can continue to be there if we need them. The event is primarily intended to help support public donation funded flying medical services, whether part or entirely donation funded, though not restricted entirely to those. The location of the special event station can be any where you choose to set it up – club, home or if you can manage the permissions to do it, a public place. It might be worth enquiring if you can run it from the actual landing field of the service, but I suspect permission would be refused due to the risk of interference with ATC radio. It is your choice whether you apply for a special event callsign, or simply operate under your own – but as said registration and nominating a particular charity is mandatory. The charity’s four helicopters are confronted with a diverse and challenging landscape. Over 8,000 sq miles of remote countryside, bustling towns and cities, vast mountain ranges, and 800 miles of coastline. With a widely scattered population and diverse landscape, many in Wales live in isolated locations, far from a major or specialist hospital. In urban areas, traffic congestion and collisions can significantly delay treatment when on a road ambulance. For these reasons, there is a recognised need for our three helicopters on active duty 365 days a year. A patient’s chances of survival and early recovery are increased if they receive the right care within the first hour, otherwise known as the Golden Hour. The fast response times and the expert medical care provided by the Wales Air Ambulance crews gets patients to the care they need in the quickest possible time. Where are the helicopters based? We have four airbases, making us the largest air ambulance operation in the UK. 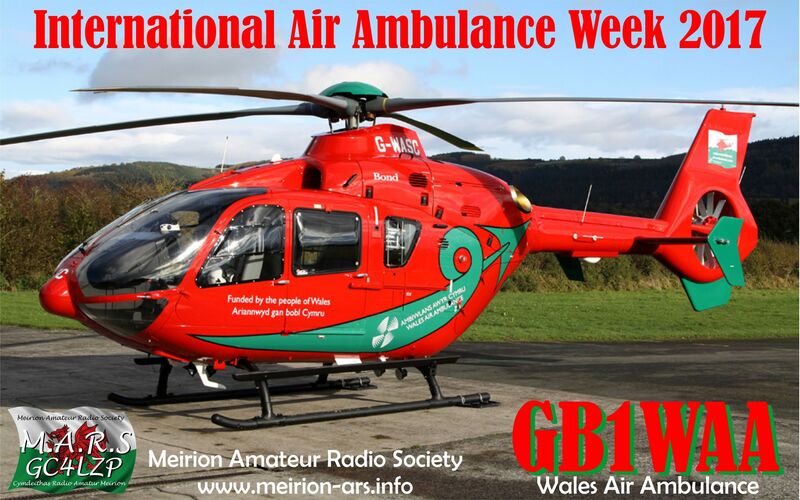 Our three emergency HEMS aircraft are based in the North (Caernarfon), Mid (Welshpool) and South (Llanelli) of Wales. A fourth aircraft based in Cardiff is dedicated to our children’s air ambulance operation. How long does it take to respond to an emergency? Each helicopter can be launched within 3 minutes of receiving an emergency call. From the three HEMS airbases, a helicopter can be anywhere in Wales within just 20 minutes. Who calls the ambulance out? In Wales we have three ambulance controls, which are located in Llanfairfechan, Cwmbran and Carmarthen. When somebody calls 999 for an ambulance, the call goes straight to the ambulance control. The person on the end of the phone will ask the caller a number of questions relating to the medical emergency. Ambulance control will then deploy one of the helicopters. The charity needs to raise £6.5 million every year to operate the service. The charity raises all the funds required for the day-to-day running of missions, with each mission on average costing £1500. Wales Air Ambulance is funded by the people of Wales; we rely entirely on the public’s support to help keep the helicopters flying. The charity does not receive direct funding from the government and we also fail to qualify for National Lottery funding. The money is therefore raised through charitable donations, fundraising events and membership of our in-house Lifesaving Lottery.